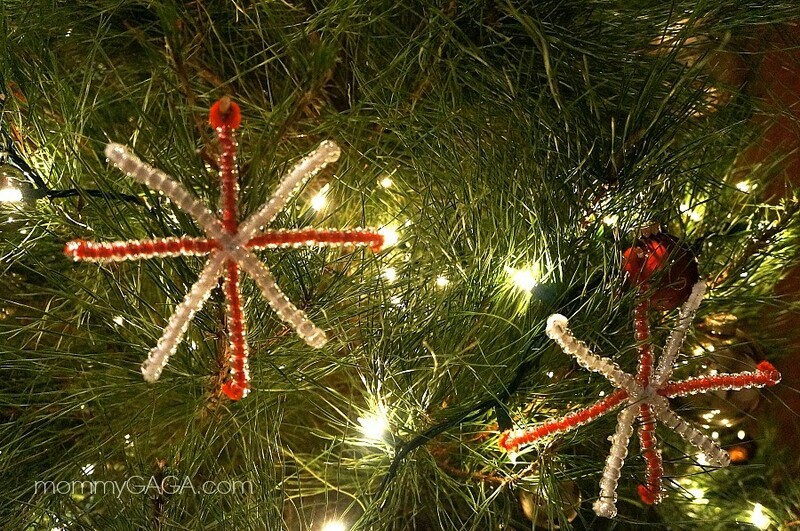 These homemade snowflake ornaments with beads are a such fun Christmas crafts for kids. We’ve been decorating the house, shopping for holiday gifts, and even cut down out own Christmas tree this year, so it’s safe to say that my family is into the holiday spirit! My kids love to get creative with various crafts, so it was only right that we make something that fits the holiday season. We loved decorating the Christmas tree, so I thought it would be fun to make some homemade snowflake ornaments! This easy holiday craft is great for kids, my toddler and my 6 year old both enjoyed making their own personal ornaments and hanging them on our tree. 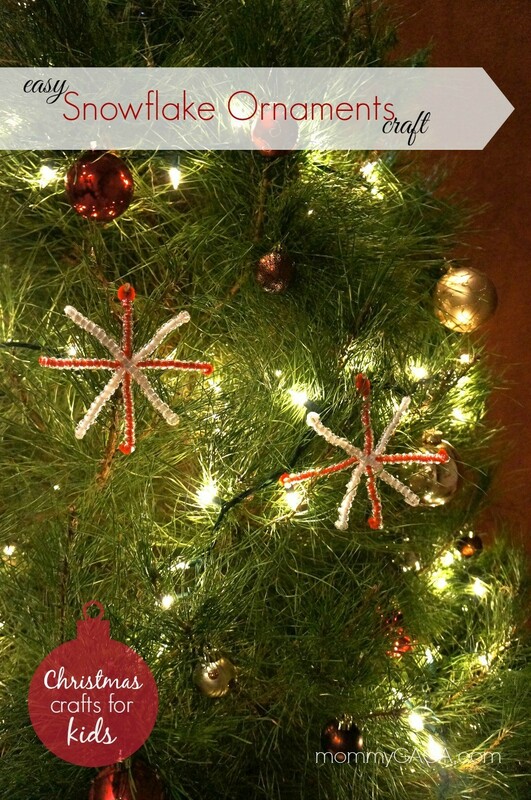 You can create your own snowflake ornaments with your kids at home, you only need 3 materials! 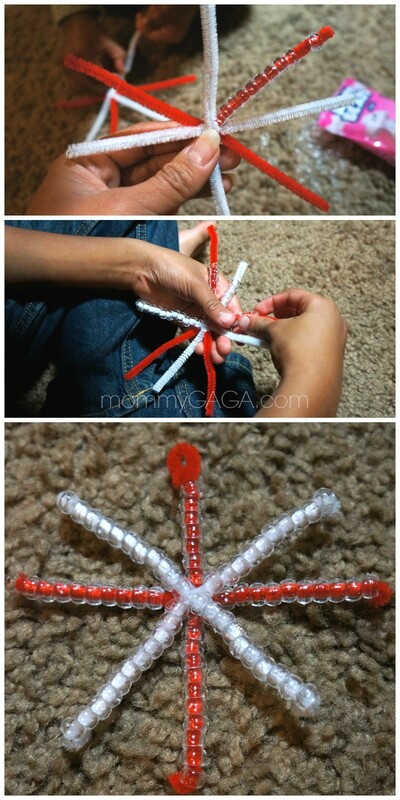 Here’s how to make them, this is a great snowflake activities for toddlers. 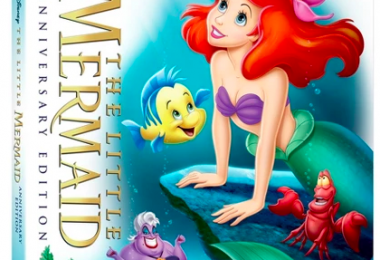 Also, for more family fun, get into the spirit of the holidays with these fun family Christmas movies! Choose two pipe cleaners, any colors you like, and cut them in half. Note that the colors you choose will be the colors that show when the ornament is finished! 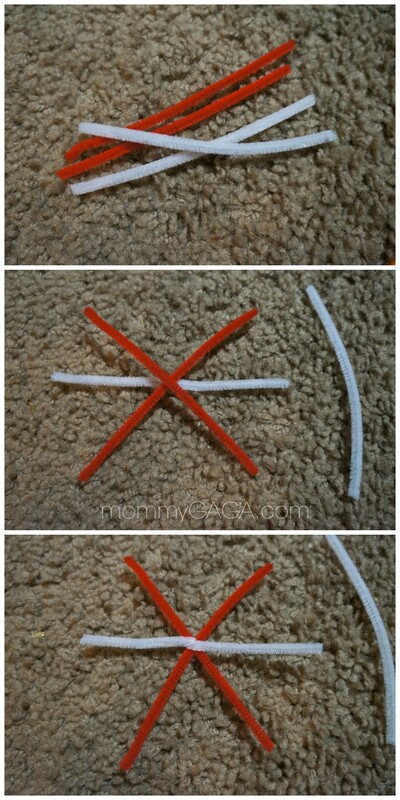 Make an X with two of the pipe cleaners, then lay the third under the middle of the X, folding the left side to the right, then the right side to the left. Take the last pipe cleaner, place it in the up and down position, and fold it across the middle the same way you did the last one. Try to make each side as even as possible. Next, you’ll need to identify the longest side, this will be the hanger. Thread on about 6 – 8 beads, leaving about an inch at the end of the pipe cleaner. Fold this end into a loop. 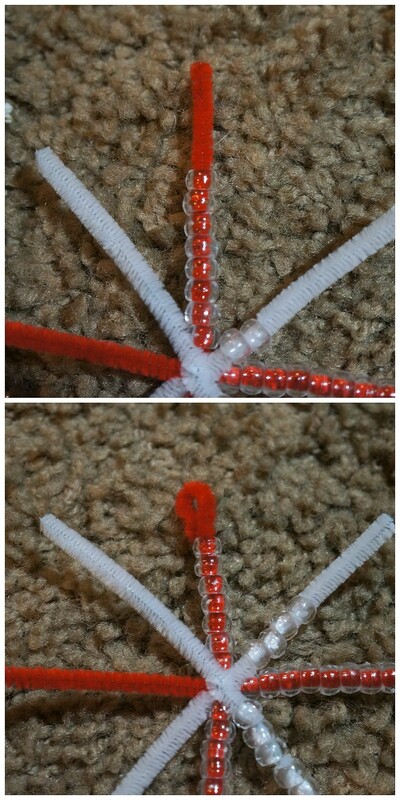 Place the beads onto each of the remaining pipe cleaners, leaving a small piece exposed at the end. Fold each of the ends backwards over the beads. Straighten out each beaded pipe cleaner to make sure it’s in snowflake form. Now, hang on a tree and admire! My kids really liked making this easy snowflake craft ideas, it was a fun evening holiday treat. 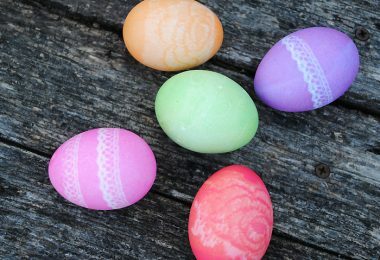 Hope you have a great time making these at home with your family! We hope you love making these DIY snowflake ornaments! This looks so easy to make and we try to find easy things to make for the kids to give as gifts. They love when people like that they made it all by themselves. Thanks for the idea. I love love this idea!!! Very cute! That is so simple and fun! Thanks for the instructions.